A couple of months ago, I received an interesting email at work from the IT department, highlighting a free, government-backed online course offered by The Open University on ‘Cyber Security‘ (run via FutureLearn). The course was 8 weeks long and commitment was just 3 hours a week. As I’d never done an online course before (apart from compulsory training at work), I thought I’d give this a go, so I started the course on 26th Jan 2015 and have now completed it. Reading and learning like this was quite novel and something I found quite enjoyable. I was even able to do some of it at work during my lunch hour. Most of the course was in the form of reading articles, watching short video clips and discussion points – you have opportunities to ‘discuss’ the various topics and post comments as you go along on the website and read what other people on the course have posted. Occasionally, you’re asked to do some extra reading should you wish. At the end of each week, there was a simple multiple choice assessment to test your knowledge of what you have learnt and a summary of the topic(s) covered that week. There is also an end-of-course assessment (I scored 32/36, ie 89%). All in all, a pleasant learning experience in a topic which I have found very useful, interesting and relevant, in particular stuff about passwords and encryption, albeit at quite a high level. I did find some of the stuff a little too technical but not too bad overall. The good thing was that you could learn and read at your own pace – at one point, I was a week behind but I caught up over a weekend. If you wanted a certificate of completion of the course, you do have to pay for it but it’s not necessary to buy one. Will be interesting to see what gets covered and I’m sure there will be new stuff that I will pick up about investing as I know there is so much more I can learn! Check here to see what other online courses are up and coming, which you might be interested in. This entry was posted in Self-Development by weenie. Bookmark the permalink. It's awesome that you're taking advantage these free courses and gaining more knowledge. Thanks for the information. As it is free we can't go wrong. I have signed up. You're welcome, hope you find the course useful. Yes, I'm pleasantly surprised that such courses are free and yes, it's a great thing to be continually learning stuff! Thanks for the link, I've signed up for this. My current investing knowledge is from the Monevator blog and Tim Hale's excellent book. I currently take the MMM approach of just paying it all into a tracker and ignoring it. I use the other knowledge to split between global shares and bonds in a preferred risk preference. Interesting to see if the course changes anything. Cheers. FrugalSurfer. I don't think you can go wrong with Monevator or Tim Hale – my investment strategy is a blend of both, and MMM continues to inspire me! Yes, I can't wait to see what else the course covers. Thanks for stopping by! Thanks for sharing. I think it's a fantastic idea. Free learning that benefits you, what's not to like?! I'm very tempted, but I'm already struggling as it is for free time, so I might pass this time around. I'd be very interested to know how you all found it though. I might take them up on it in the future. Thanks for raising the awareness of this! Yes, I'll be sure to report back on how the course goes. If you are interested in doing it but are struggling for time, I've found that the courses are often run again later on in the year, so perhaps you could sign up then. I hope your friend enjoys it too and it helps her get into her investing more! As for the time, well it doesn't start til May and I've found that you can learn at your own pace and in your own time, so hopefully, you will be able to fit it into your life! Sounds like a great idea to learn and further yourself for free. The amount of free information we have at our fingertips nowadays never ceases to amaze me. We should be a society of all knowing geniuses in 50 years time! 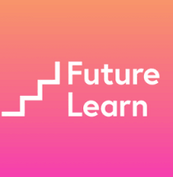 I had a look at some courses on Future Learn a couple of years ago, I never got round to it in the end so can't vouch for the quality but the range of topics on offer was impressive so maybe take a look at that as well next time. I think it's wonderful that we live in an age that we can have free access to university level courses from pretty much anywhere in the world. I love taking extra courses, although I am massiveley pressed for time right now. I hope you keep us updated as to your learning and progress! In reply to your comment "Hi Weenie, The course sounds like a great idea. I must have a chat with LM, but think I'll sign up for this one. TBM " which I accidentally deleted (sorry), yes, the course looks great – see you in 'class'! Yes, there are tons of free stuff, it's just knowing where to look for the stuff that's useful and I'm amazed that I've never found out about this earlier! There are some courses which just interest me but are probably not of much use (eg some of the history ones) which I'll probably do when I have more free time. I know, I'm amazed that the courses are free and ad-free too, which is quite unheard of these days! I shall be updating on how I get on! This looks fascinating. I think MOOCs are very, very interesting ideas. I did a couple a while back. Some are better than others. But this seems to be an ideal topic to be covered by such a course. Count me in! Looking forward to it already. Now just have to find the time to do it! Thanks for highlighting it to us. Glad to see you joining us! Pretty fortunate to find this course and I have our IT department to thank for sending me the free course link in the first place! Yes, things like this are often due to luck. Serendipity is a wonderful thing though! Hi Weenie, I'm on board too.. Sounds like a great course. The open Uni does some great free courses. I did a course with them on personal finance – I had to pay a fee – but I used my tesco club card points to pay for it! Consumerism pays for my course on personal finance – how ironic. It was this course that got me thinking about finance, life style, savings and indirectly about FI. Haha, that's a great use for your Tesco club points! Sounds like it was a very good course to put you on the path you are on now, with not many years to being FI! Hi TFS, thanks for linking that course – I didn't spot it. I've registered interest in it so you sign up when it's run again, it does look pretty interesting. Hope you find it useful! Thanks for stopping by and 'see you' in class!